OKLAHOMA CITY — Oklahoma Senate Bill 297 is being considered by the House this week. 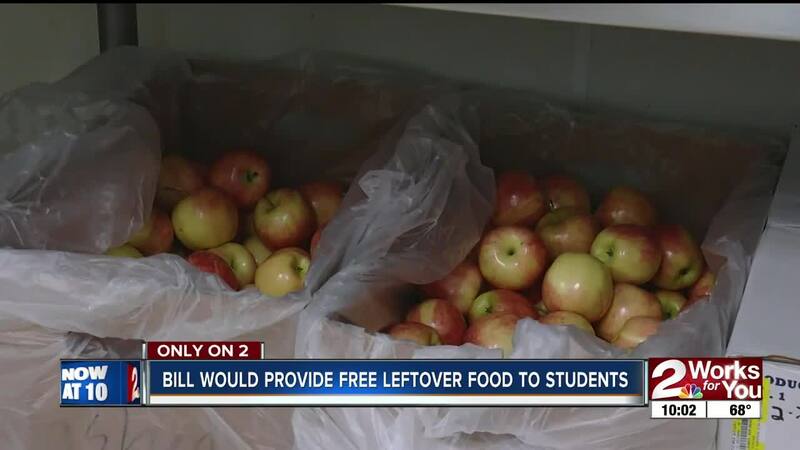 If passed, it would allow school districts to provide leftover food at no cost to students. Unused food would be packaged and give out on site, helping to fill the gaps for those receiving free and reduced lunch, and prevent waste. "We had people that would just show up and they would be watching to make sure certain things weren't shared and that it was thrown away and it wasn't re-used and I was just shocked," TCTA Vice President Shawna Mott-Wright said. For many Tulsa Public School campuses, that makes up more than 75 percent of students. Educators within the district say that number is growing every year. It's something Representative Melissa Provenzano saw as principal at Nathan Hale Jr. High before getting elected to the legislature. "Every kid that walked through our doors needed some sort of support. Ate breakfast at the school, ate lunch at the school and then went home. So many nights I was like, I know that there's nothing there in the cupboard," Provenzano said. The Tulsa Classroom Teachers Association Vice President, Shawna Mott-Wright, tells us she always kept extra snacks on hand, and even witnessed a student pass out from hunger. "Most teachers you talk to always have food and extras for kids. So that's what we do. We use our own money and we keep it on hand because we know that they don't know what they're going to have, or when they're going to have it," she said. Current law says schools can't give away excess food, and cafeterias are monitored to make what's prepared is not re-used. Teachers supporting the bill say students receiving extra food will likely have better diets and concentrate better.